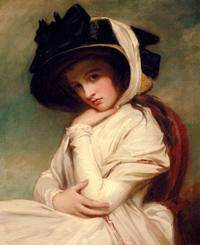 Emma Hamilton, celebrated mistress of British Naval hero, Horatio Nelson, is only a minor character in A Royal Likeness by Christine Trent, but made a positive impression on this reader. 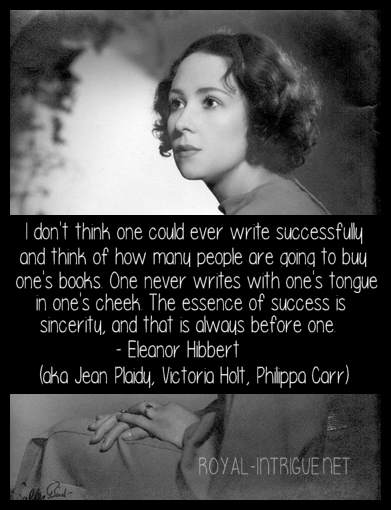 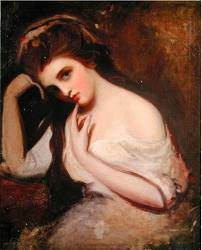 I could tell there were interesting reasons behind the differing opinions of the lady by characters in the book, and an intriguing untold story of her life. 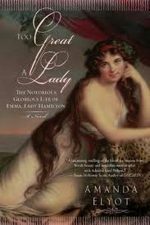 After speaking with author Leslie Carroll, who has a published novel on Emma’s life titled TOO GREAT A LADY (written under the pseudonym Amanda Elyot), I found that some information I’ve read (non-fiction, even) is erroneous, and thus I am reluctant to pass it along here. 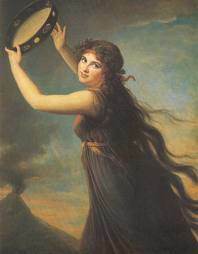 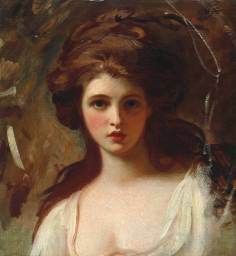 Emma Hamilton is, however, a lady I look forward to learning more about. 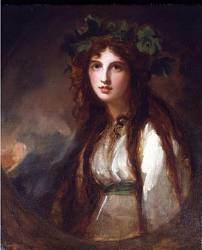 Along with the beautiful paintings I am displaying here, Leslie has kindly offered a few thoughts on Emma to give us a little insight. 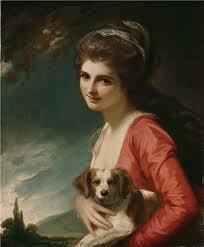 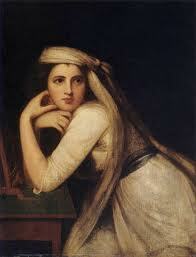 As you can see she was a beautiful woman and the muse of painter George Romney. 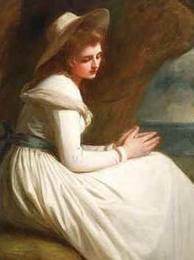 It is no wonder Lord Nelson was devoted to her, up to the end of his life and had his wishes been honored, she would not have ended her own life in poverty abroad.